We have four new releases due to appear in UK cinemas this week. Highlights include the sci-fi action film Maze Runner: The Death Cure, this one is out in both the United Kingdom and the United States. Also out in the UK is the Matt Damon sci-fi-drama Downsizing plus there’s also something for the children to see. 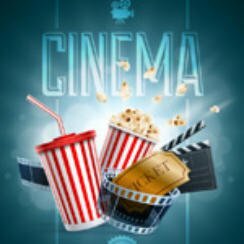 So now we have an idea of what’s going to be playing at a cinema near you we better take a look at the film trailers; here are the cinema releases January 26 2018. Right here are the films you will be watching whilst eating plenty of popcorn. Only one film out in America this week with Maze Runner: The Death Cure (Sci-fi Action) which also releases in the UK, that said western film Hostiles does expand into more movie theatres. There’s nothing really of interest for myself at the cinema this week so I will continue with my Hammer horror season by reviewing all the recently released Blu-rays from both Powerhouse Films and Studiocanal. In fact the next batch of films are due out in the UK on Monday.